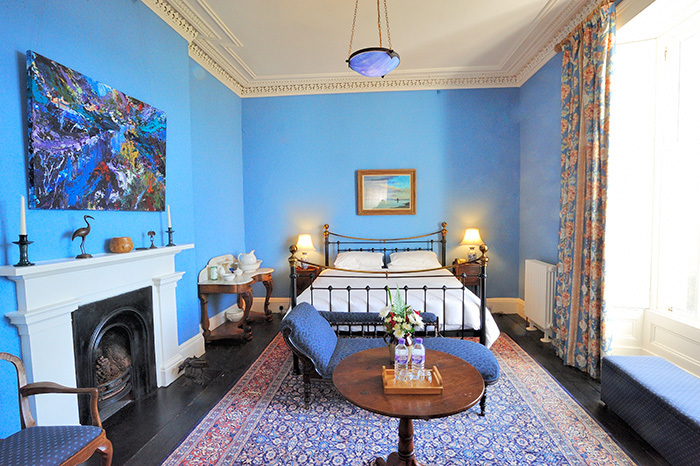 Extending over three floors Drimnin House has some 30 rooms, including eight bedrooms and reception rooms with stunning views over the Sound of Mull. The top floor originally provided accommodation for servants and a Catholic chapel which at one time replaced the chapel on the shore below. To the rear is a housekeeper’s cottage named after Ena, the last resident housekeeper, and is now restored to use as holiday accommodation and an extra annexe to the main house. 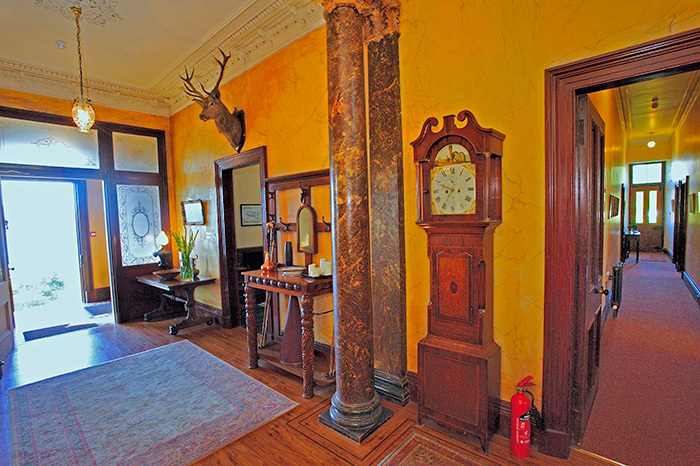 The house is noted for its high-ceilinged rooms; the intricate faux marble, floral wall paintings and ornate cornices, which had originally by the leading Edinburgh decorator, D.R.Hay. It has recently been completely renovated, transforming it into a warm, luxurious and environmentally-friendly home. Much of the furniture dates from the mid-nineteenth century. The garden includes an original Victorian parterre and is sheltered by the house on one side, the old farm buildings on another and cliffs at the back. 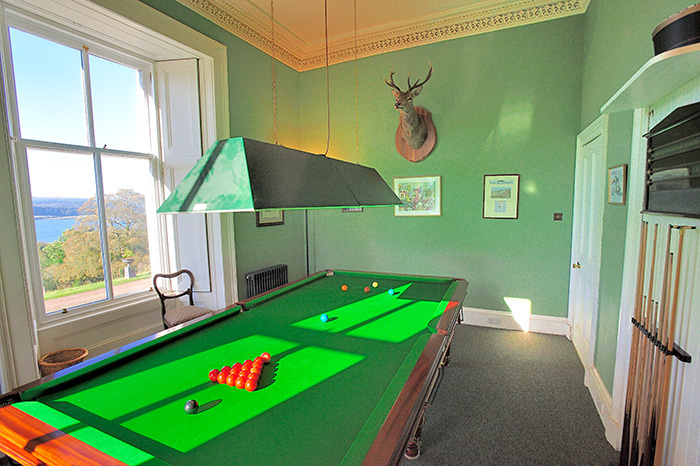 Facilities include Wi-Fi, snooker, sound systems in main reception rooms, large gardens with outdoor furniture. Telephone in most bedrooms (internal and external calls). 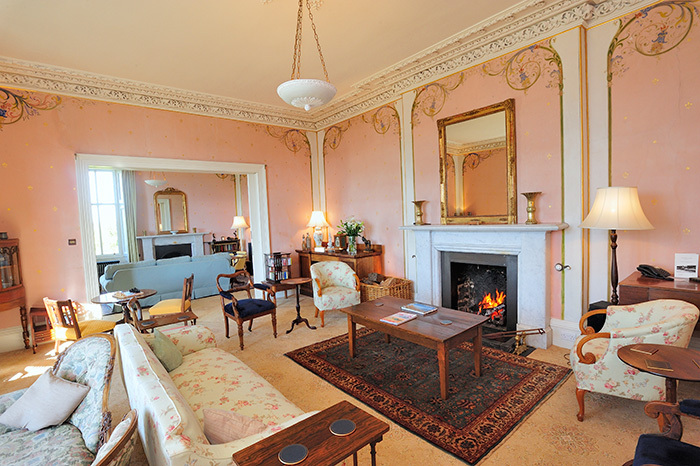 There is mobile reception just outside Drimnin House and reception for some networks in the front rooms of the house. 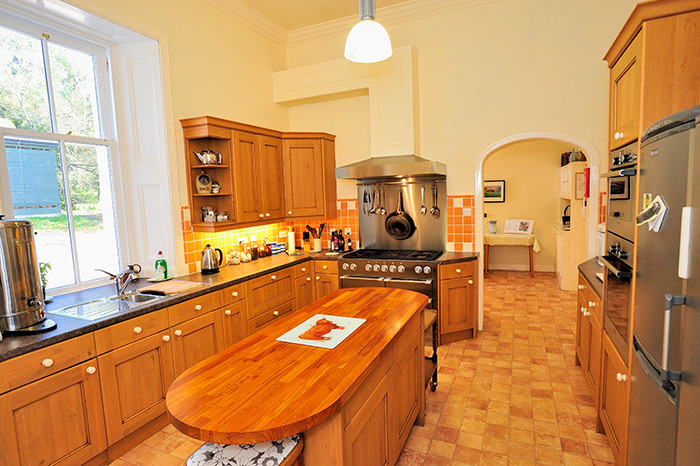 A full catering and housekeeping service is supplied, we are child friendly and dogs are welcome by prior arrangement. 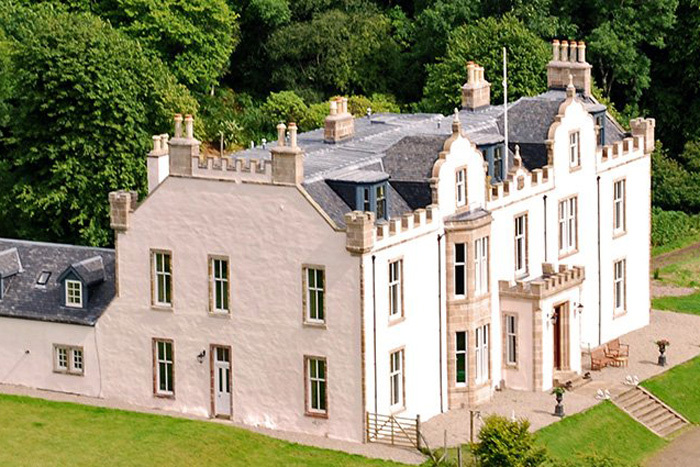 Drimnin House is a family home; guests are encouraged to treat the house as their home and a place where they can relax and enjoy the house, its gardens and the Estate. Activities include; walking/hiking, trout and sea fishing, cycling, shooting and stalking, wildlife watching and photography, touring the West Highlands and Islands and relaxing. 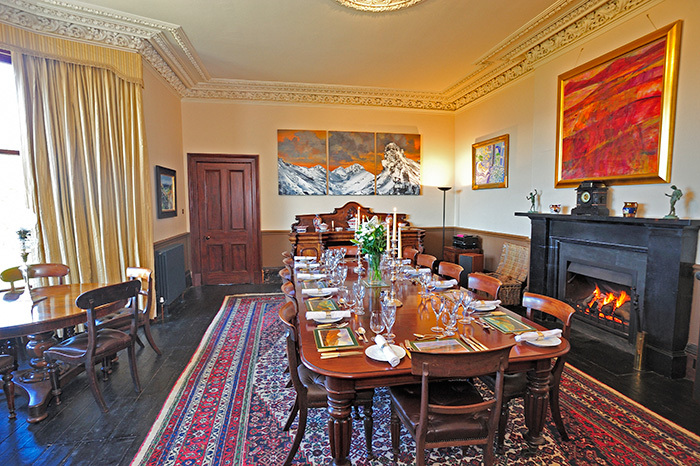 There is a wide range of walks on and adjoining the Estate – picnic lunches can be arranged. Own bicycles are welcome and mountain bikes are available for hire as there are many great tracks to cycle on the Estate and in the local area.In addition, we can arrange tours of the Estate, the hiring of fishing tackle, diving locally and boat trips, including the Drimnin-Tobermory water taxi.